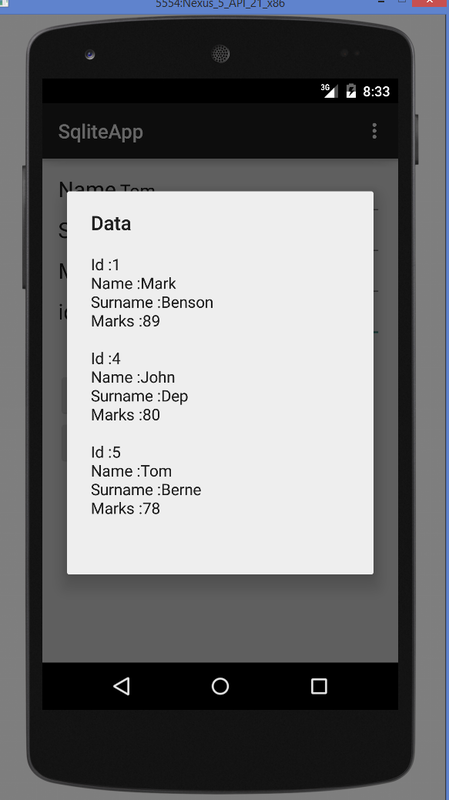 SQLite is an open-source social database i.e. 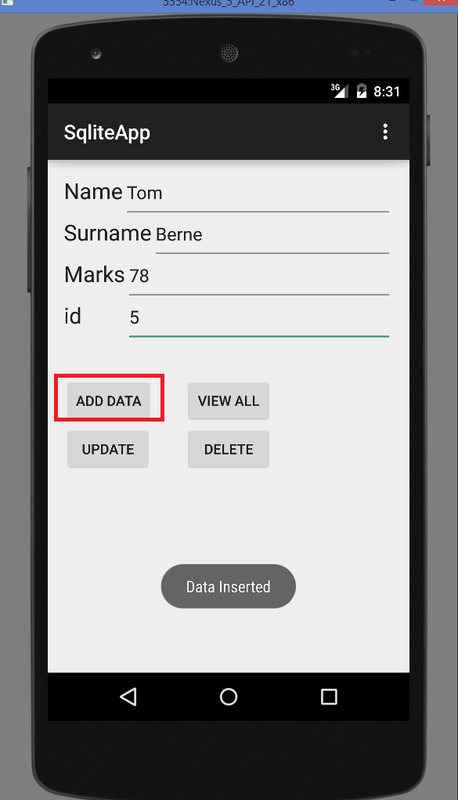 used to perform database operations on android gadgets, for example, putting away, controlling or recovering relentless information from the database. It is implanted in android bydefault. In this way, there is no compelling reason to play out any database setup or organization assignment. 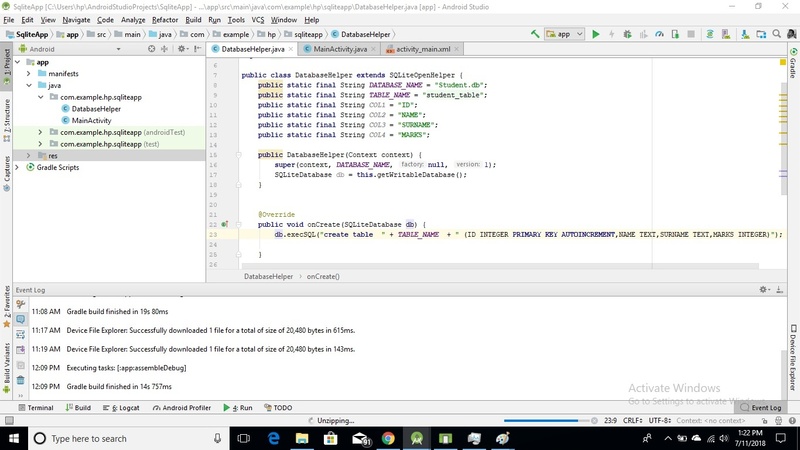 Here, we are going to see the case of sqlite to store and get the information. Information is shown in the logcat. For showing information on the spinner or listview, move to the following page. 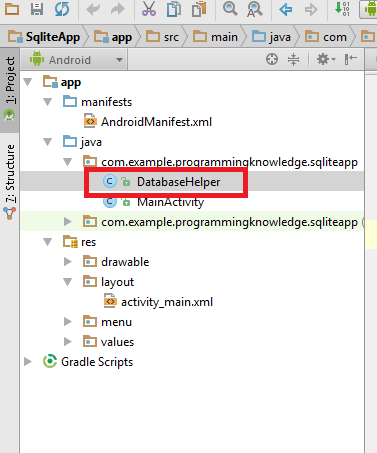 SQLiteOpenHelper class gives the usefulness to utilize the SQLite database. So lets create a project. Step 2 – Add components in the main activity as shown in the picture below. 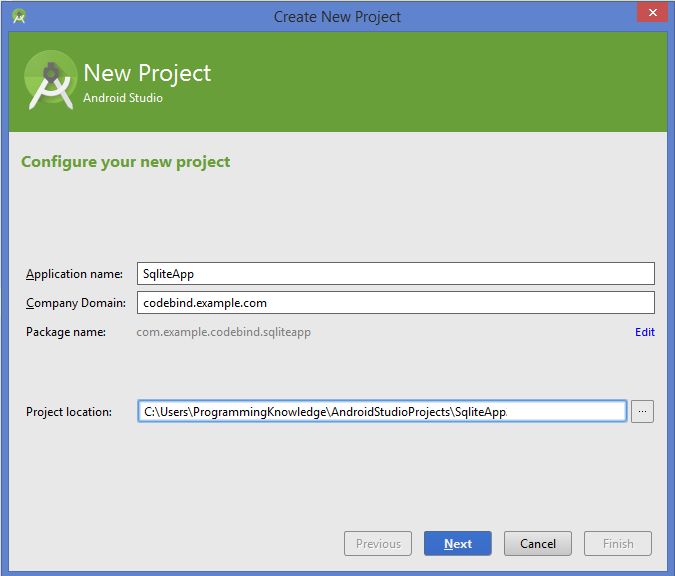 Step 3 – Now create a new Java class called DatabaseHelper.java. * Created by ProgrammingKnowledge on 4/3/2015. thank you for the video + the code. Nice tutorial, but where code for menu_main.xml ? Just comment out the last two blocks ( onCreateOptionsMenu(Menu menu) and onOptionsItemSelected(MenuItem item) ) and the program will work. It doesn’t seem that “menu” has been realized at all, so these two are unnecessary. 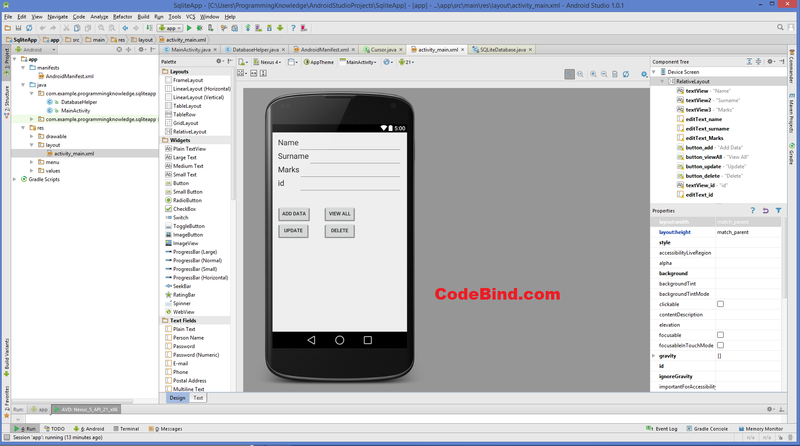 Then create menu_main.xml file in it and paste this code in it. 3125130032 ??? ??????? ??? ??? gives me this error when implemented into my code. Thank You very much for this example. Exactly what I needed to jump-start with SQLite. 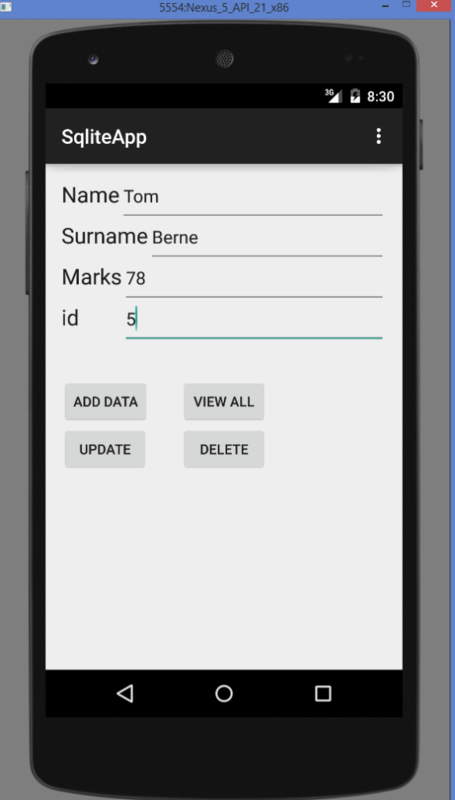 this line in getAllData crashes whole application. could anyonne tell my why? here the id is primary key right? How to..
2)Retrieve data based on date selected by used calendar. Is there a way to declare a condition for update data to return false if the database does not contain the data(for example a specific email it should look for) is not in the database? nice job…can i create a SQL database to store fingerprint characters?? Please i need a tutorial about how to save image in database in then how to retrieve?